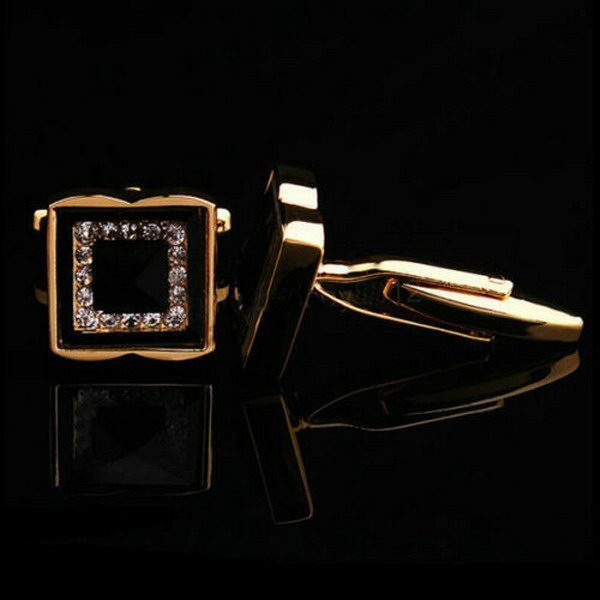 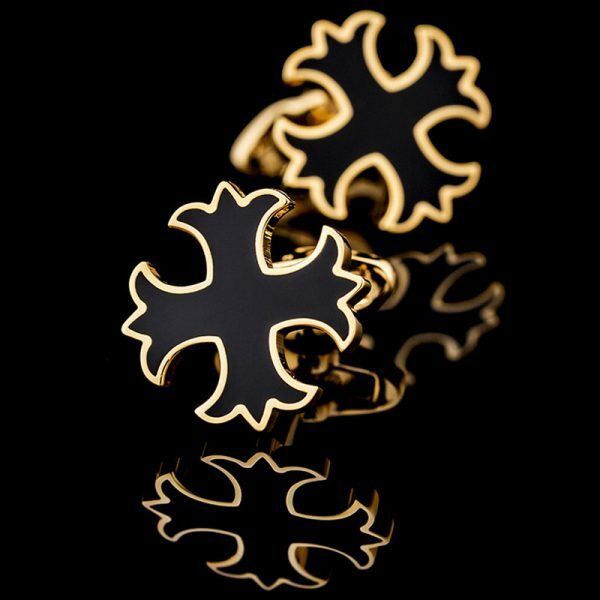 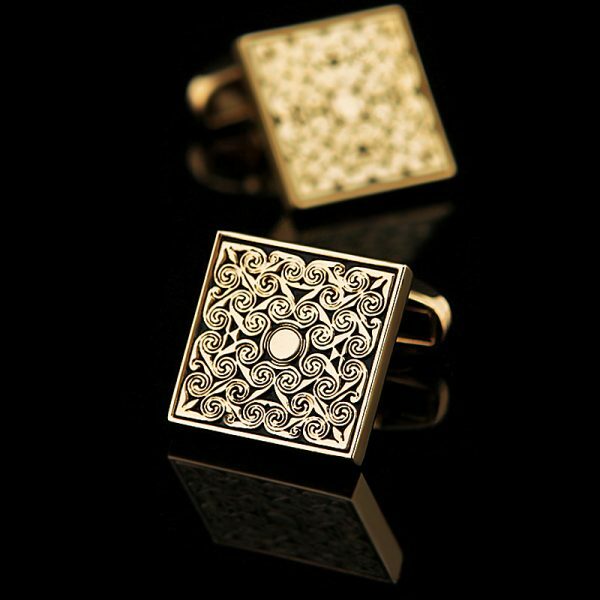 These stunning black and gold cufflinks are a must have for any modern gentleman’s accessory collection. 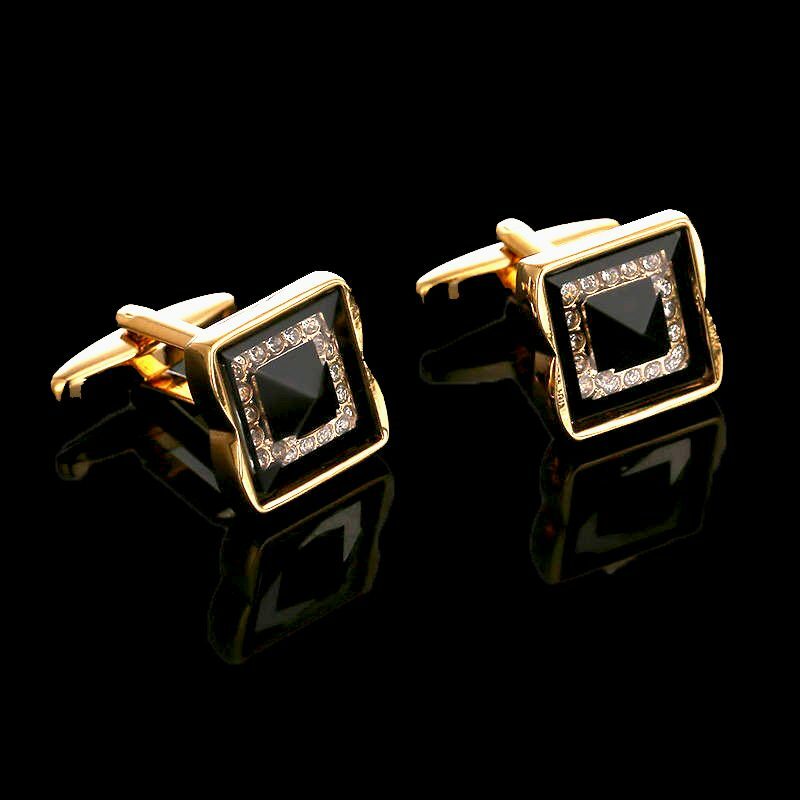 The exquisite craftsmanship of these deluxe black and gold cufflinks adds style and sophistication to any outfit you wear them with. 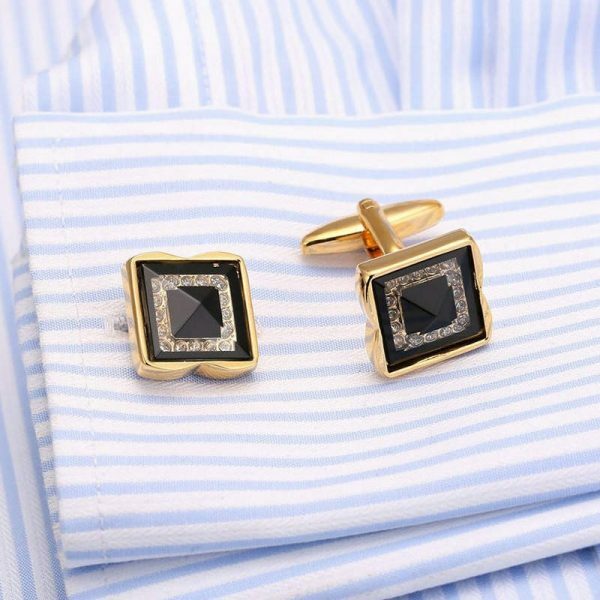 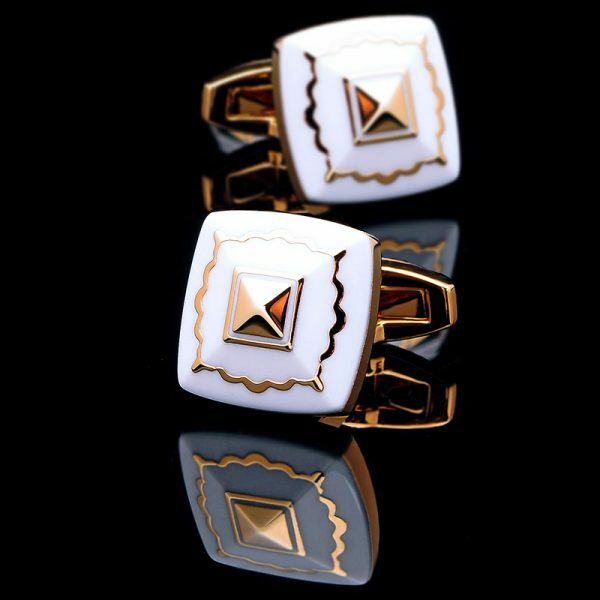 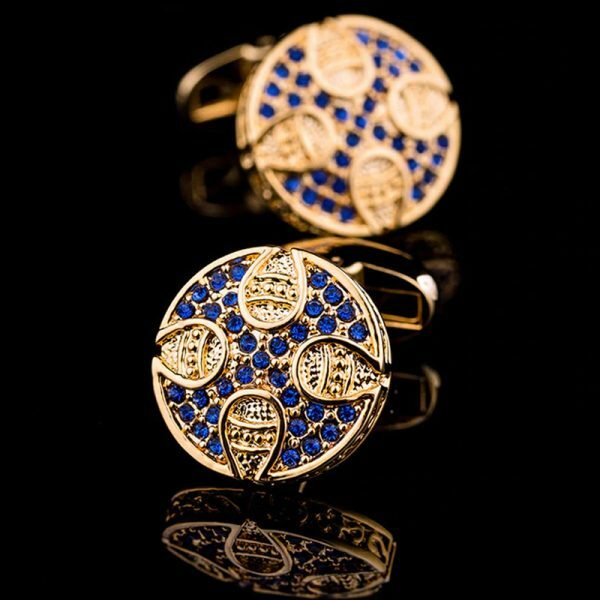 These cufflinks are the perfect accessory for any formal or business occasion. 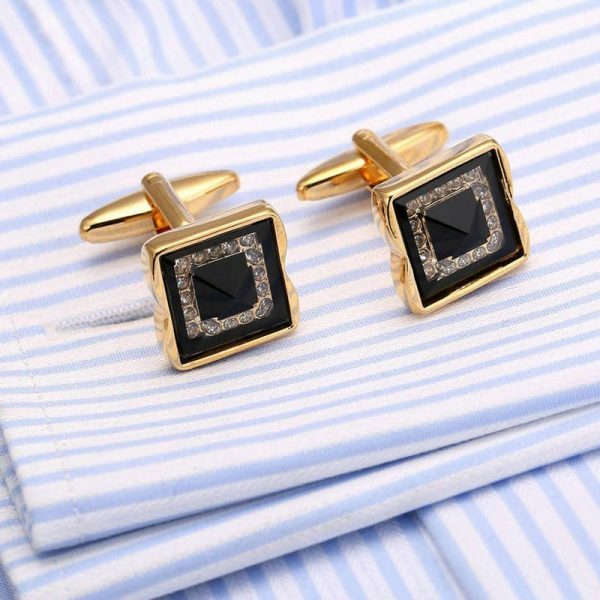 These deluxe black and gold cufflinks make gift giving a breeze for the holidays, birthdays, Father’s Day, anniversaries, graduation or for groomsmen gifts. 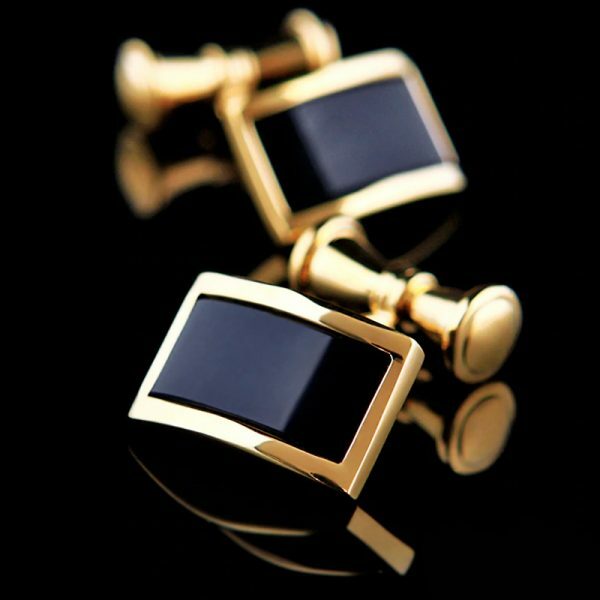 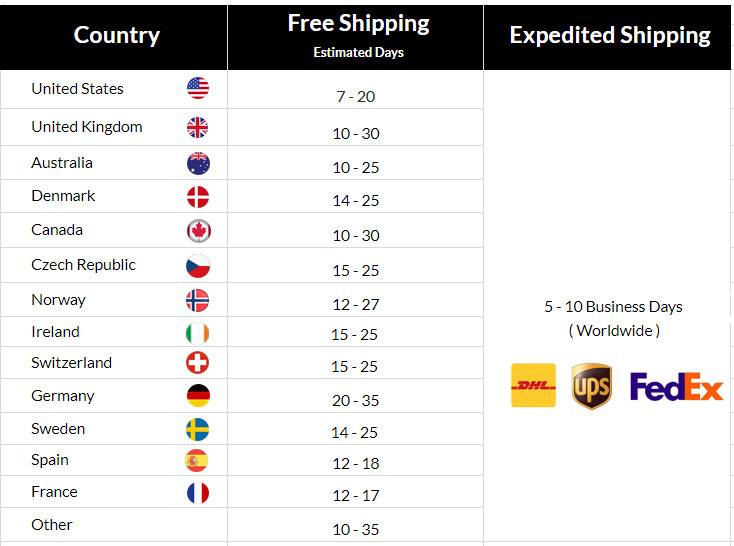 Each of these beautiful black and gold cufflinks is crafted from environmentally friendly brass and covered with a high-polished gold-tone plating. 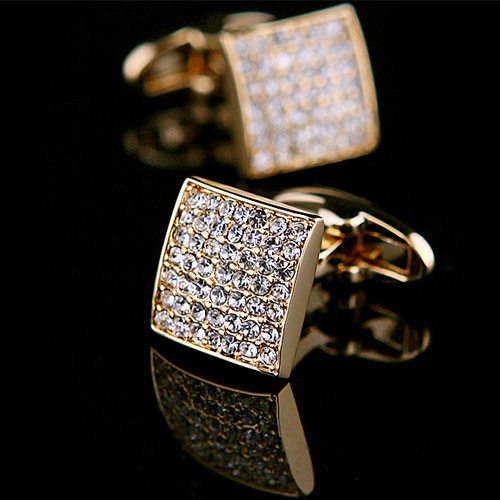 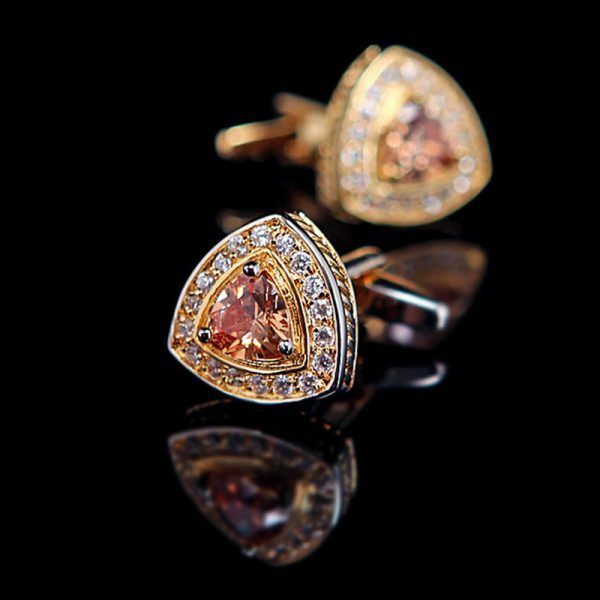 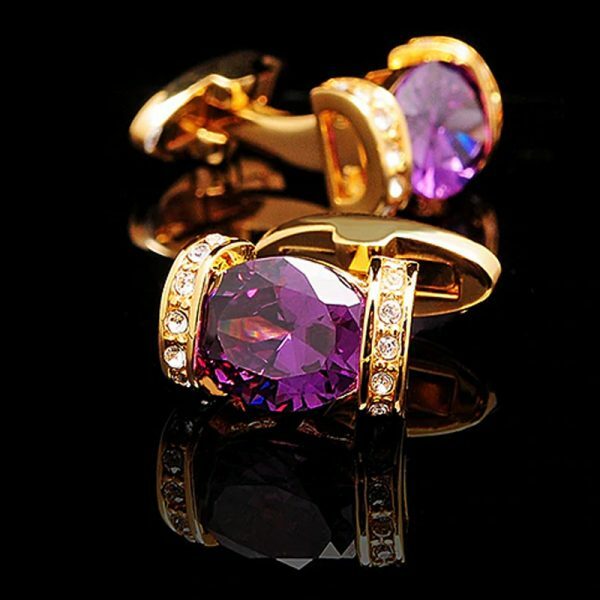 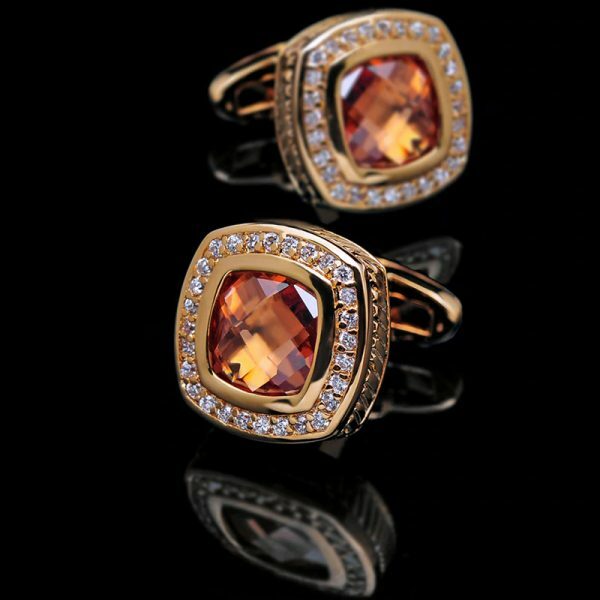 In addition, these cufflinks are set with AAA quality cubic zircon crystals that add the right amount of sparkle to your look. 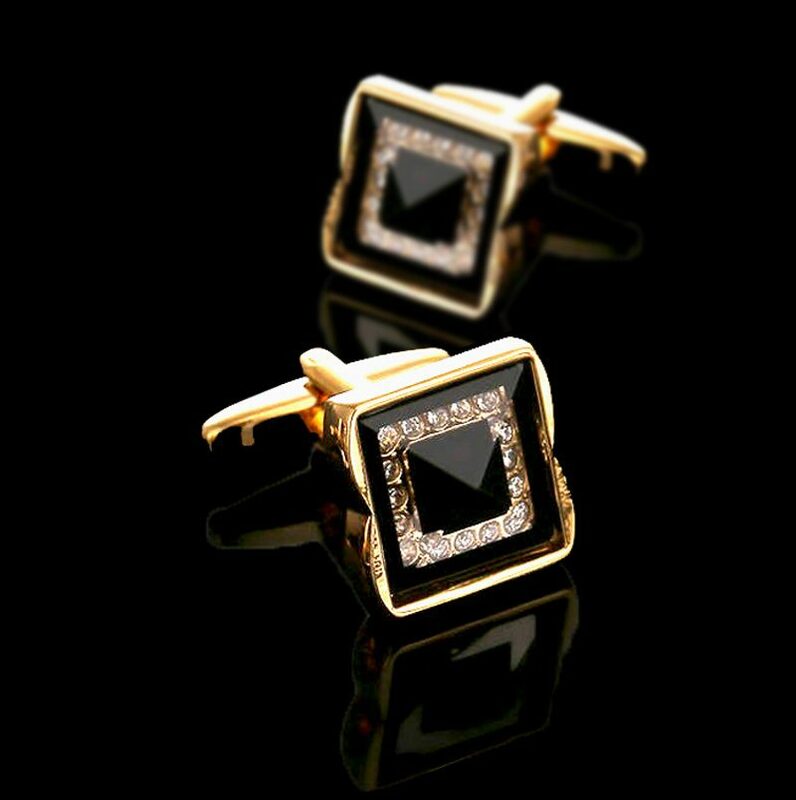 These square-shaped little gems measure 15mm x 15mm / 0.59″ x 0.59″ and weigh approximately 20gm / 0.70oz each.